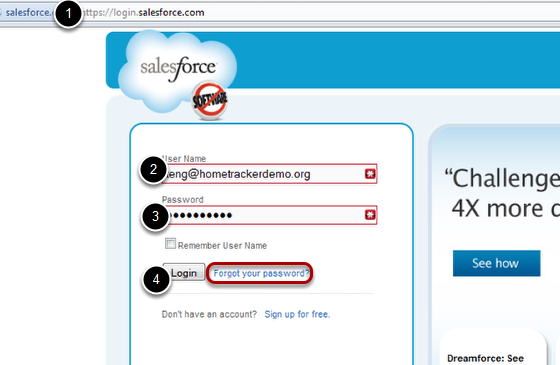 In order to access HomeKeeper, you need to first access your Salesforce.com account. 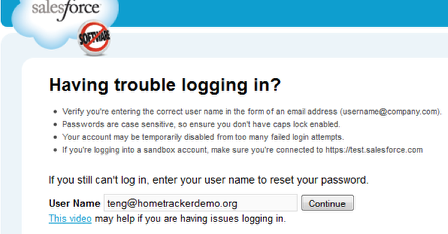 HomeKeeper is an application hosted on the Salesforce platform. Enter your user name (always in the format of an email address) and password. If you forgot your password, click "Forgot your password" to reset your password. Once you click "Fogot your password" you will be asked to enter your user name. If you want more information on resetting your password, click here for a short video. You will be emailed a link that will help you reset your password. Click on your App Meno in the upper right hand corner and select HomeKeeper. You know you're in the HomeKeeper app if you see the HomeKeeper name in the upper left corner and in the blue App menu on the right.